Cambridge, UK, 21 November 2017. 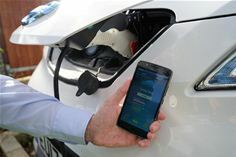 Aimed at fleet operators moving to electric vehicles (EVs), Spark EV(http://www.spark-technology.com/) today launched its new artificial intelligence-based journey prediction telematics solution. Spark EV enables vehicles to complete more journeys between charges, removes range anxiety and enables greater fleet utilisation, with up to 20% more journeys completed between charges.